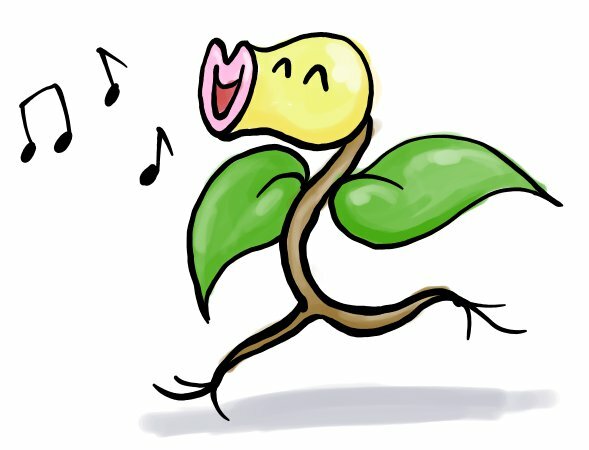 I like Bellsprout. I don't know why, but I really like its design. I also like its evolutions. In-game Bellsprouts are alright, I guess (though my only experience with Bellsprouts in-game are the two I used in HeartGokd nuzlockes; one of the died when I wiped to Bugsy on my first attempt, and I replaced the other with an Oddish). There was also that one episode of the anime where Ash fought a Bellsprout in the Pokemon League who completely wrecked him until Ash had Muk smother it. That was a good episode. 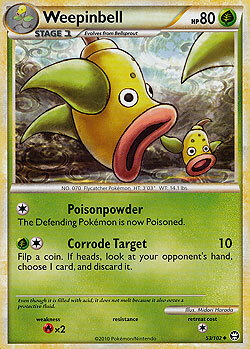 In the TCG, all I know about the Bellsprout line is that one Weepinbell card accidentaly said 'filp a coin' instead of flip. That's neat. Weepinbell and Victreebell are awesome. They look like the type. But they're a dual type. I might as well join, seeing you asked. The Bellsprout line may not be my most favourite, but I like them all the same, and used a Bellsprout back since GSC days. Weepinbell for that matter is one of the very few Pokémon I ever drew a picture of. Huh. 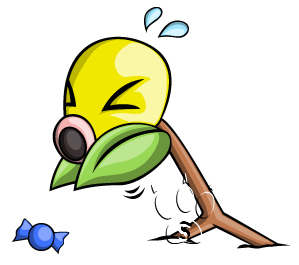 I suppose Bellsprout have a (questionable) worshipping in the games with Sprout Tower and all the sages there which talk about the grace of it and so forth. Also neat if you bring a Bellsprout with you! They dance about if you talk to them. And I probably should link to that image I mentioned, huh?